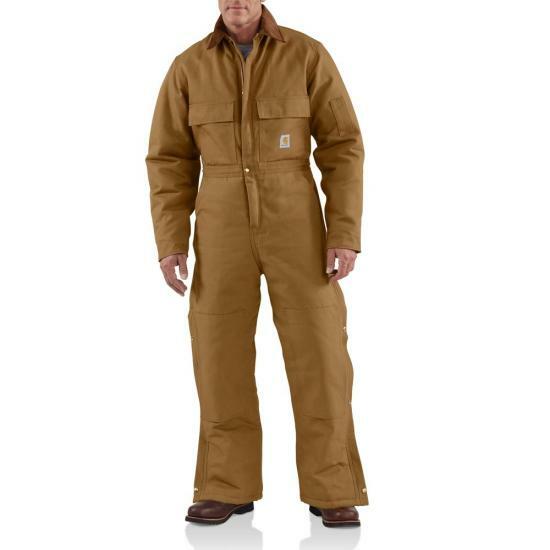 If you spend all day or all night outside and need something to keep you warm, this Arctic lined Carhartt duck coverall is just the one for you. Featuring a full front zipper and zip to the hip legs for easy on/off and two pencil slots on the left sleeve for convenience. coeveralls were way to small and now at the end of season, sizes are limited. exacxtly what I ordered and fit was great! fast service will order again. COULD'NT FIND THIS PRODUCT IN MY AREA, SO I ORDERED FROM DUNGAREES, IT SHIPPED AND GOT HERE VERY FAST. OF COURSE I ORDERED THE WRONG SIZE. I WAS PLEASED AT HOW EASY IT WAS TO RETURN THE PRODUCT, AND RECEIVED THE RIGHT SIZE IN SUCH A TIMELY MATTER. I WILL ORDER FROM DUNGAREES AGAIN! I bought this for my dad for Xmas. He's very hard to buy for and thanks to your easy chart sizing it fit him perfect. The quality was above what I expected. And the delivery was so fast. 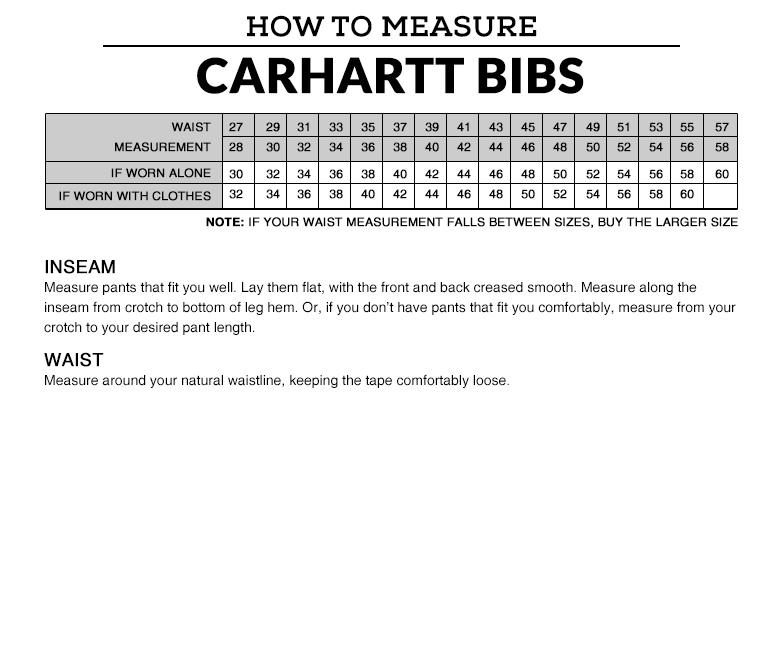 I will buy all my carhart products from your company in the future. The selection you have for everyone is awesome. Thank you I'm so glad I found your company. Happy New Year! I'm wearing them right now. It's 26 degrees outside this morning. I decided to wear them to work today instead of warming up my truck before leaving. I never felt the cold. I recently moved from a condo to a home and knew that I am on the hook for removing snow during the harsh Detroit winter season. I needed something where I could just roll out of bed in the morning and put on a coverall without all of the clothing layering ceremony that I had to do previously. I immediately put on the coveralls after getting this out of the box. No more than a couple of minutes passed when I starting to break out into a sweat in my house - man, this thing is warm! This arctic quality coveralls is the warmest that I have ever worn. Very good quality, unmatched warmth. Rugged, well built and very warm, great for the coldest days! I am 6'3". It was suggested I get a "regular" size. I ended up exchanging it for a tall. Wish that I had one years ago!!! This coverall is initially hard to get on but once it's on and a little broken in it is easier to don. It is by far the warmest outer garment that I've ever worn and makes winter chores a snap. I would highly recommend this product!! !